To listen to the podcast click here or "Read More" for other methods described below. 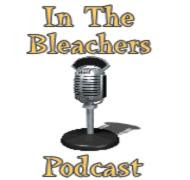 On this edition of the In The Bleachers Podcast Michael Felder and myself bring the heat with a special guest; author of college football fans' must read books Meat Market and Cane Mutiny and ESPN senior college football writer Bruce Feldman. This is the first of many quick-hitting, weekly podcasts that hit the target and leave you wanting more from Rob Harley and Michael Felder. Be sure to check back everyday as they'll be dropping these shots routinely. To listen in click here OR "Read More" for one of the methods described below. Also, look for Rob's newest work over at The Buckeye Battlecry. Be sure to follow the guys on twitter @InTheBleachers and @robharley34! Before everyone gets heavy into the offseason madness that is the recruiting war, coaching hires, and the NFL draft. Rob Harley and Michael Felder break down some of the highs and lows of the college football season. Spoiler Alert: they like Kiffin just hours before the Kiffin hire...maybe a job in palm reading awaits? Be sure to follow Rob on Twitter and Facebook! To listen to the podcast CLICK HERE or subscribe to one of the methods described below. This week Rob Harley from Harley in the Huddle and Michael Felder from In The Bleachers return to tackle the BCS Championship Game in all its splendor. HINT: Rob goes with the least talked about part of McCoy's game, while Michael takes one of the nation's most hidden of gems on the Bama side. After winning the 96th Rose Bowl game the Buckeyes sing their school song "Carmen Ohio" with the OSU marching band. The fans in the stadium shouldn't be the only ones experiencing the pageantry, atmosphere, and drama of a college football game day. That's why H in H wants to give you the chance to FEEL THE TRADITION! The Ohio State marching band ("The Best Damn Band In The Land") performs the legendary "Script Ohio" before the 96th Rose Bowl game. The Ohio State marching band ("The Best Damn Band In The Land") enters the Rose Bowl in O-H-I-O formation playing "Fight The Team" and "Hang On Sloopy."